This page provides instructions on how to update the firmware for XAV-601BT/701BT/741BT. 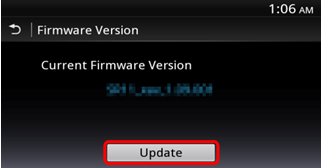 The firmware version which starts from "SRxx" or “HRxx” is subject to update. - Xperia Z and Samsung Galaxy NoteII will be added as compatible device. 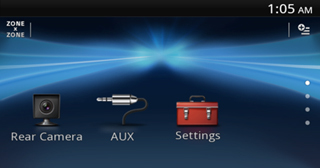 This firmware update is performed with a USB storage device to be inserted into your Car Audio unit. Make sure to use USB storage media with available space of 100 MB or more. The touch panel may not work, if you skip this step. 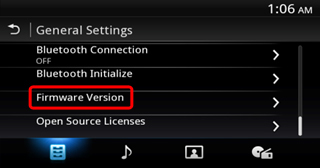 After updating this firmware, Picture EQ and Aspect in the Visual Setting may be changed to default value. Please confirm them and if they will be default, please set again. The default value is as the below. 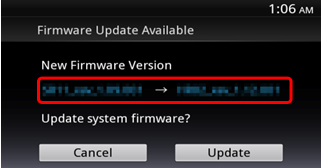 Select General Settings → Firmware Settings.